PivIT provides a comprehensive line of Cisco Switch, Wireless, Router, and Security equipment. Cisco’s latest networking solutions enable exciting options for infrastructure upgrades and the build-out of ultra-high-performance networks. Cisco’s platforms meet the needs of advanced mobility, Internet of Things (IoT), data center, and cloud networking infrastructures. See an overview of our Cisco Network Infrastructure offerings here or view specific product-category information using the links below. Dell is renown for providing cost-effective switch solutions to small businesses and branch offices. Dell’s business-scaled networking platforms meet the need for increased interoperability and a brief learning curve. For campus-wide and data center installations, Dell switches meet high communication bandwidth requirements and deliver the benefits of optimized platform density and power consumption. We also offer a wide variety of Dell/EMC products for the Data Center. Juniper provides cloud-optimized switches that are purpose-built for converged enterprise branch, campus, and data center infrastructures. The networking solutions address growing enterprise demands for high availability, unified communications, and virtualization. 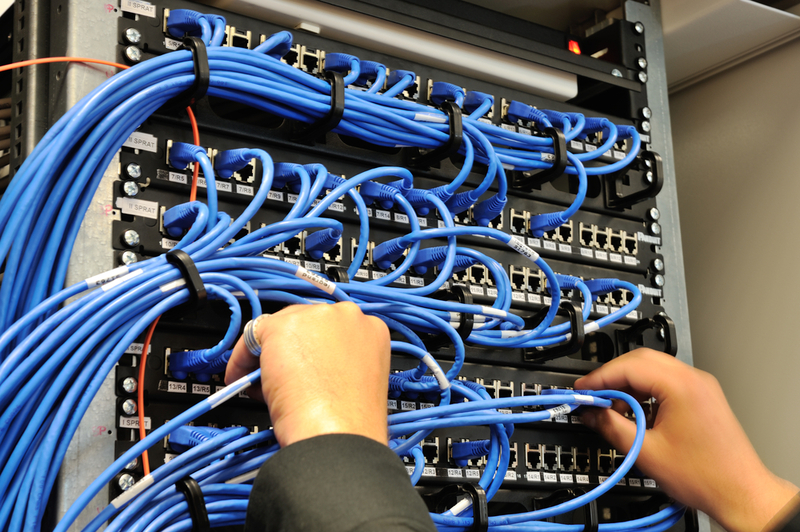 Juniper networking switches, routers, and communication security equipment can be scaled to meet the requirements of data centers that deploy thousands of ports. Forrester Research listed Juniper as a leader in The Forrester Wave™ Hardware Platforms for Software-Defined Networking (Q1 2018). HPE’s business-class networking solutions feature ease-of-use and are purpose-built for cloud connectivity. HPE’s enterprise-scaled networking switches are purpose-built for requirements including expanding IoT networks and fluctuating cloud traffic. HP is a market leader in Software Defined WAN (SD-WAN solutions). Gartner positioned Aruba, an HPE company, as a leader in the 2018 Magic Quadrant for the Wired and Wireless LAN Access Infrastructure. See our HPE product offerings for the Data Center here.